The Hunger Games by Suzanne Collins, Scholastic Press, 2008, 384 pp. 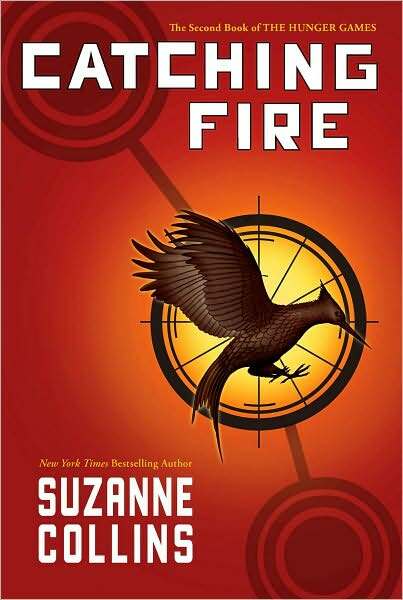 Catching Fire by Suzanne Collins, Scholastic Press, 2009, 391 pp. Mockingjay by Suzanne Collins, Scholastic Press, 2010, 400 pp. I needed escape reading during the last month’s intensity of Holy Week, tornado recovery and moving into our newly renovated church building. I wanted a distraction from the daily stresses, a world I could escape into at the end of a long day or long week. These books were perfect for that. As young adult literature, they were easy and fast to read. The twists and turns of the intense, unfolding story hooked me in fairly quickly. 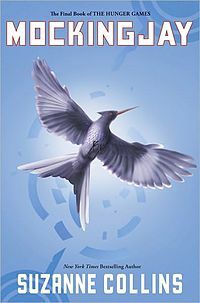 The books are all narrated in the voice of their protagonist, Katniss Everdeen. I must confess that I never learned to love Katniss. I loved many things about the character that Suzanne Collins created—a young woman who is not defined by her love interests, who acts with courage and bravery and grit, who must contend with gender stereotypes and manipulate them in order to preserve her life, who has a strong voice of her own. I love that young women have such a great character to relate to. I just didn’t like her, and couldn’t imagine joining her company. That made for an interesting experience of reading the books, because I wanted to know the outcome of the story, even as I didn’t care much what Katniss (the narrator) thought or felt about it. The world that Collins created was so compelling because it was so believable as a post-apocalyptic version of North America. Panem is like American society through a fun house mirror. Certain aspects (usually the good ones, like equality, opportunity and freedom) shrunken into nothing, and other aspects (usually the bad ones like inequality, greed, consumerism and spectacle) enlarged and engorged beyond their normal proportions. When you see Panem, you see American society. Even though it looks so different, you still know it’s the same thing. That makes the books an interesting critique of political and economic systems. I read the first book, The Hunger Games, about a week before Palm Sunday, and I was captivated by the parallels between it and the story of Jesus contesting the Roman empire. It became the start of my Palm Sunday sermon, which you can listen to here. Catching Fire and Mockingjay turn more explicitly revolutionary, and provide interesting insights about how we might subvert the seemlingly indomitable powers-that-be in our own society. Love triumphs over death, collaboration over competition. There are ways that the game can be played that destroy the game itself. The trilogy is a great read. 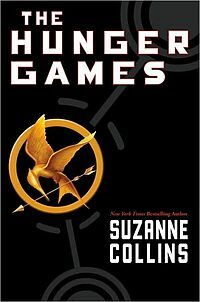 It has lots of theological themes, even if there is no mention of God or religious life in Panem. 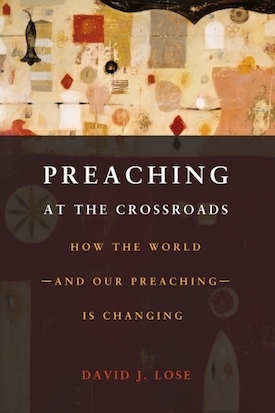 I recommend it for some fun summer reading, or an interesting conversation starter with so many others who are reading it—especially young people. This holding together of tensions, this being “both-and,” is very much what I think we are supposed to remember every year on Ash Wednesday. It says you are small. Remember through it all, you are great and small. Isn’t it true? Don’t we all just need to be reminded sometimes that we are indeed great? When we are frightened or discouraged or rejected or vulnerable or powerless, we need to be reminded of the power we have as one person to change the world in love. We are great. And don’t we all just need to be reminded sometimes that we are indeed so very small? When we are self-centered or narrow-minded, ego-driven or unrelenting, unforgiving or ungracious, we need to be reminded that in the vast universe and the long arc of history, we are small. Some people think that the season of Lent and the ashes of Ash Wednesday are all about reminding us that we are small. 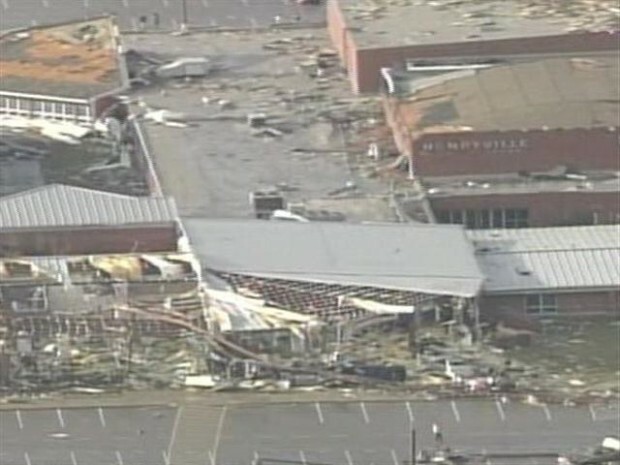 After all, we are about to put ashes and dust on our foreheads, and repeat the phrase, “remember you are dust, and to dust you shall return.” For some, remembering we are dust is about remembering all the ways we’ve acted like dirt, and try again to act like the spirit of God. While repentance is a good thing, and confessing our sins and receiving God’s forgiving grace is an important part of remembering that we are small, these dusty ashes upon your foreheads are not about calling you a dirtbag. They are about reminding you that you are a human being, created by God from the dust the earth. 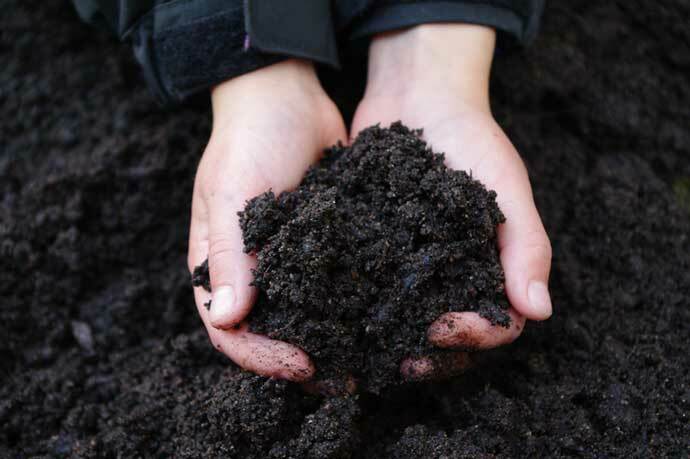 In Genesis 2, God created human beings by scooping up the rich, dark soil, adamah in Hebrew, and (whoosh) blowing life into it. You are of the earth. You are made of the stuff of this world. Like everything else in this world, you will live and you will die this one precious life, in this one fragile body, and then that lifeless body will return again to dust. Among all other creatures and lives, surrounded by all the dirt of the earth, each one of us is one tiny speck in the vast universe. We are so very small. Photo by Inger Ekrem, Riksförbundet Svensk Trädgård. But that’s not all. Whenever we remember we are dust, whenever we remember that we are adamah, made of clay, we also have to remember what else we are made of. What other ingredient, apart from the earth, comprises humanity at the dawn of creation? (Whoosh) The breath of God. You are dirt and to dirt you shall return, but you are also the breath of God, and to God you shall return. Inside of you dwells the spark of the Almighty God, the power of God’s spirit animates your life. You are filled with the power to love, to give, to serve, to rejoice, to overcome, to hope, to be transformed. Even more, you can transform the world around you by your work and your love, your witness and your welcome, your peace-making and your graciousness. The eternal breath of God breathes in you. You are great. 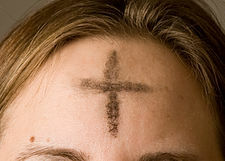 Every Ash Wednesday, we remember what it is to be human, to be made from dust and the breath of God. The opposing contradictions of great and small, known and unknown, clarity and mystery, life and death—they all are reconciled in each and every human life. We are indeed ambassadors of reconciliation. When our lives reflect our true nature, we are simultaneously reflecting the transient beauty of the world and the eternal beauty of God. Great and small. Dust of the earth and the very breath of God. You are both, insists Paul. You are both, says the author of Genesis. That’s what it means to be human—to be both great and small, and equal measure of dust and divinity. 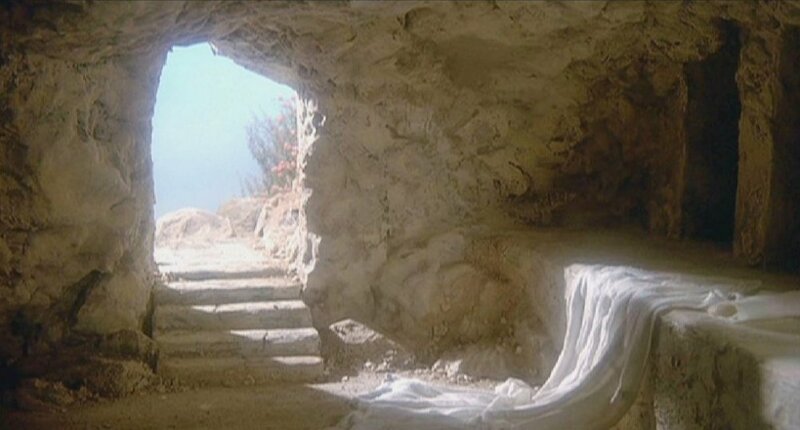 As we enter this Lenten journey toward Easter, we are invited to remember who we are. Where in your life do you need to remember you are small? How is God reassuring you that you are not God, that the world does not rest upon your shoulders, that all this will come to an end and you are not in control? Where in your life do you need to embrace your greatness? How is God calling you to do big things in the name of love, to transform the world with grace and hope right where you are? 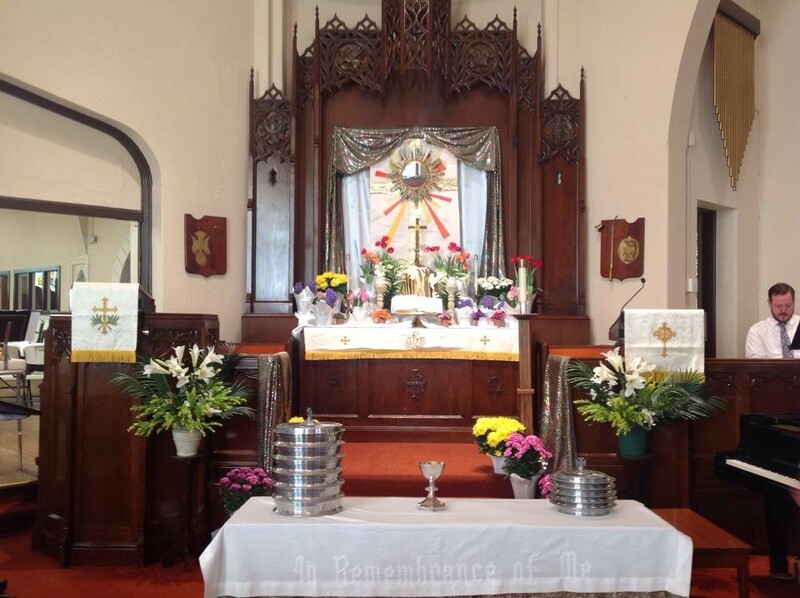 We have for you tonight, in addition to the ashes for your forehead, and a taste of the bread of life and cup of salvation at the table, a couple of pieces of paper for your pocket. Can you guess what they say? One for each pocket. You are great. You are small. I invite you to carry them with you as the season progresses, as a reminder that in you, in your oh-so-human-life, lies their reconciliation. The great and the small, the dust and the divinity, in you—an ambassador of reconciliation. Thanks be to God. This sermon was originally offered at the joint Ash Wednesday service with my congregation and the local Disciples of Christ church in town, February 22, 2012. 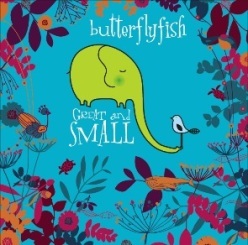 You can download the song “Great and Small” at Butterflyfish’s website, www.butterflyfishband.com.